I looked at buying this car recently, but like the 207 Gti it's a bit too heavy for the power and tyres. I wish it was the same weight as the Civic Type R EP3, about 1200kg. 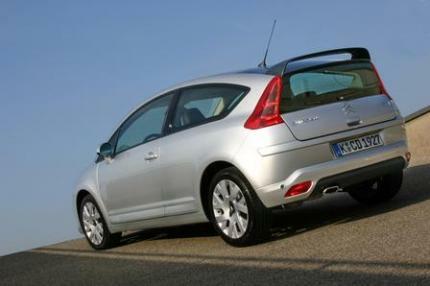 Citroen really stopped producing drivers cars with the C2-C6 VTS. @ Stu: With only 174 horsepower? 254 kph? This??? LOL! Don't get my snickers laugh! I think your car is broken then rs73only. The C4 VTS 180 should do just under 140kmh in 2nd gear and gets there quite quickly. The specifications on here need changing the C4 VTS180 petrol engine has a mass of 1337kg not 1412kg. Yes that is the top speed. ANSWER MY TOP SPEED THEORY!